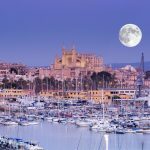 Ibiza travel blog — The fullest Ibiza travel guide & suggested itinerary 3 days in Ibiza for the first-timers - Living + Nomads – Travel tips, Guides, News & Information! 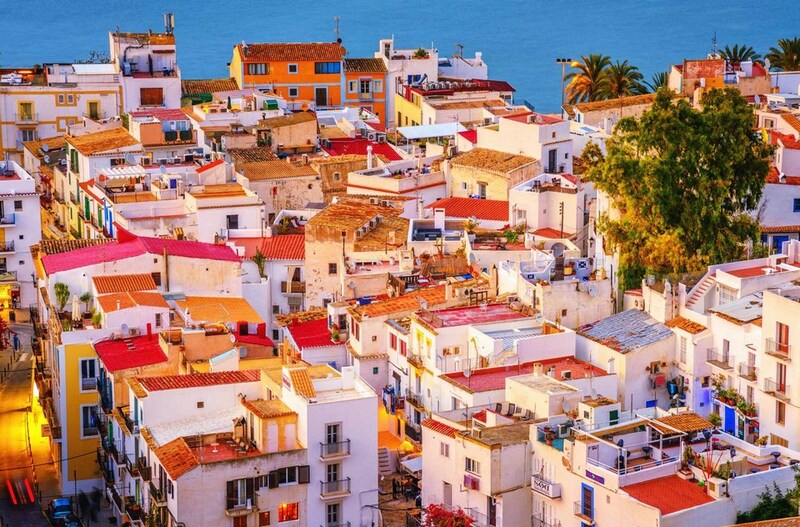 If you’ve ever been fascinated with the melody of the song “I Took A Pill in Ibiza” then you probably can’t help impressed by the pictures of the beautiful island of Spain – Ibiza (Catalan: Eivissa). 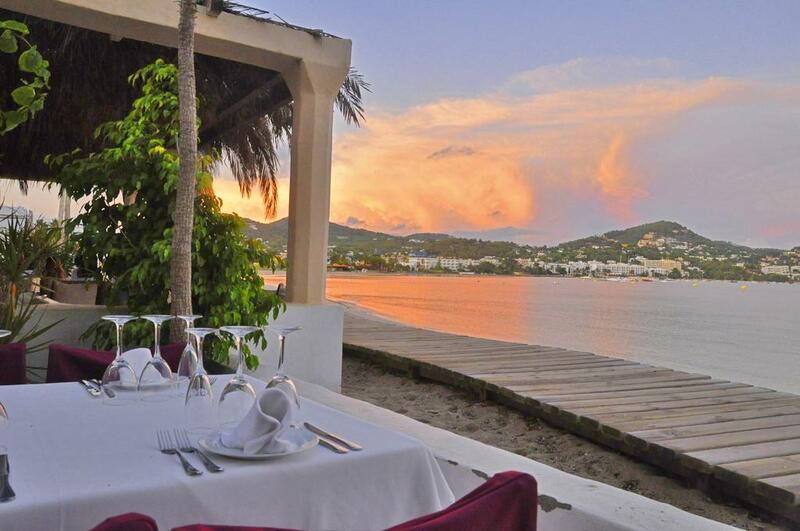 Even the name of the song said a part of this island – party island – party, party all day and night for everyone. 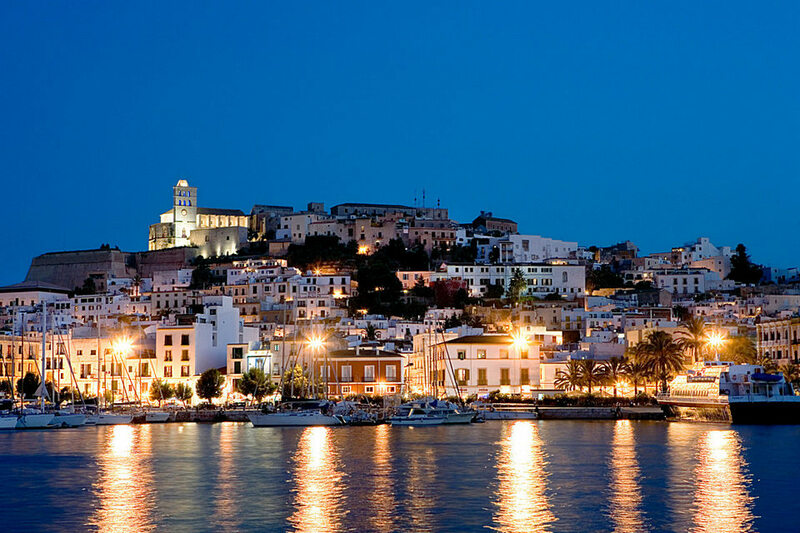 Along with the cities of Mallorca, Minorca and Formentera, Ibiza is part of Spain’s Balearics region. This is a small archipelago about 215 km away from Barcelona in the Mediterranean Sea. 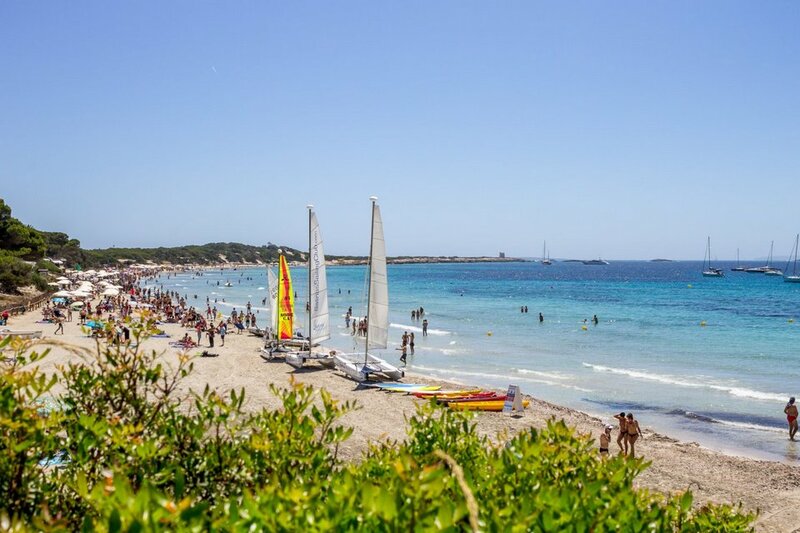 Known as “White Island”, Ibiza is famous for its natural beauty, white sandy beaches, picturesque old towns and also the world famous party venue. 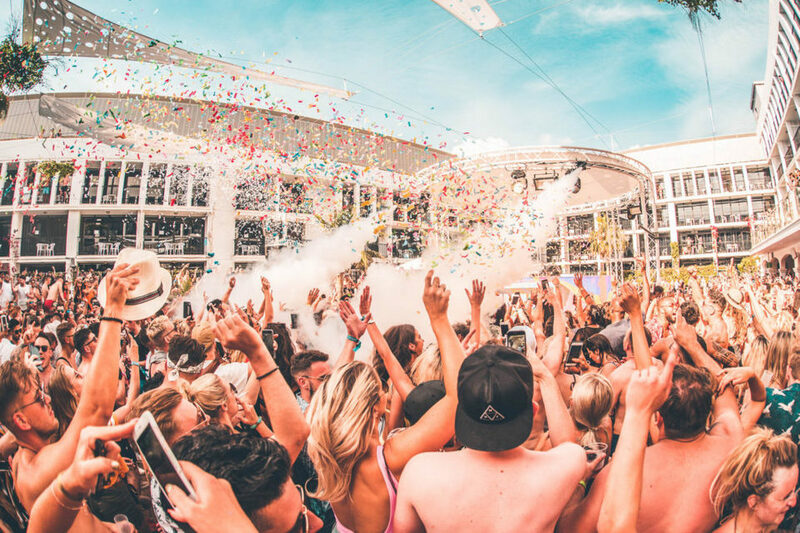 During the summer, visitors from all over the world come here to dancing and playing all day and night at nightclubs such as Pacha, Privilege, Amnesia, Space and DC10. 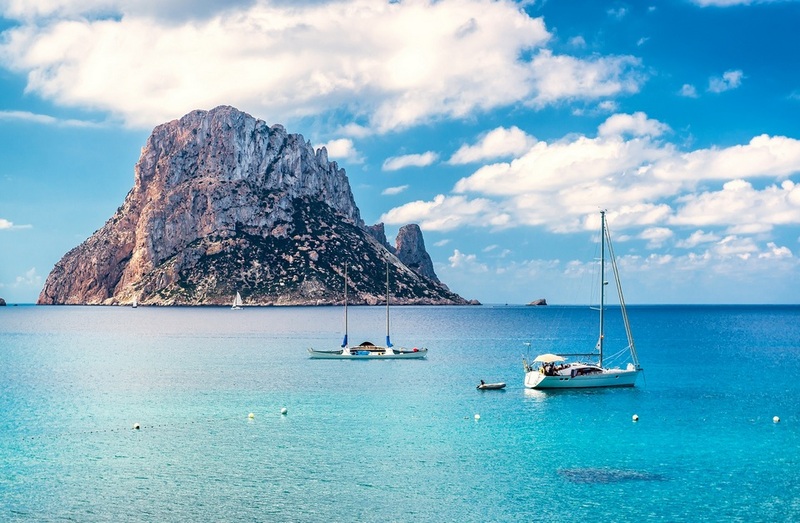 If you are looking for the best Ibiza travel guide? Let’s check it out our Ibiza travel blog (Ibiza blog, Ibiza island travel blog, Ibiza Spain travel blog) with the fullest Ibiza Spain travel guide (Ibiza island travel guide, Ibiza tourist guide) for a wonderful and budget trip to Ibiza island from how to get there, best places to visit, top things to do, etc.. to suggested Ibiza trip itinerary for 3 days (3 days in Ibiza, Ibiza itinerary 3 days) in Ibiza. A beautiful island in the Mediterranean with clear blue water, full of sunshine. Cala d’Hort Beach. 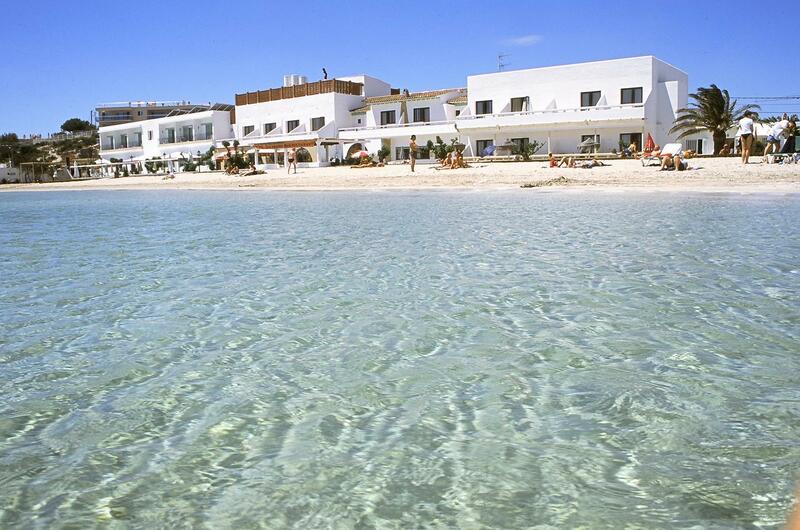 Ibiza, the island of the white sands beaches, lively parties. 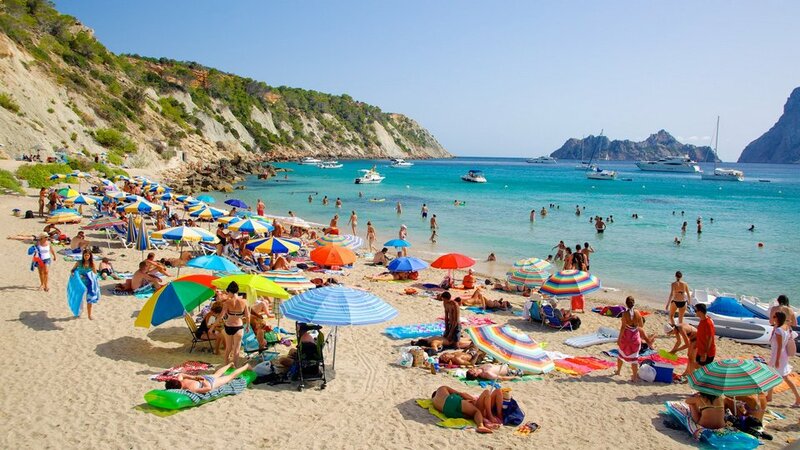 Tourists immerse in fine white sands and cool blue waters of Ibiza Mediterranean. In addition to sun exposure, yoga, swimming, diving, parachute … there is also an overnight camping service to watch the stars and welcome the dawn with a price of EUR60 / night. 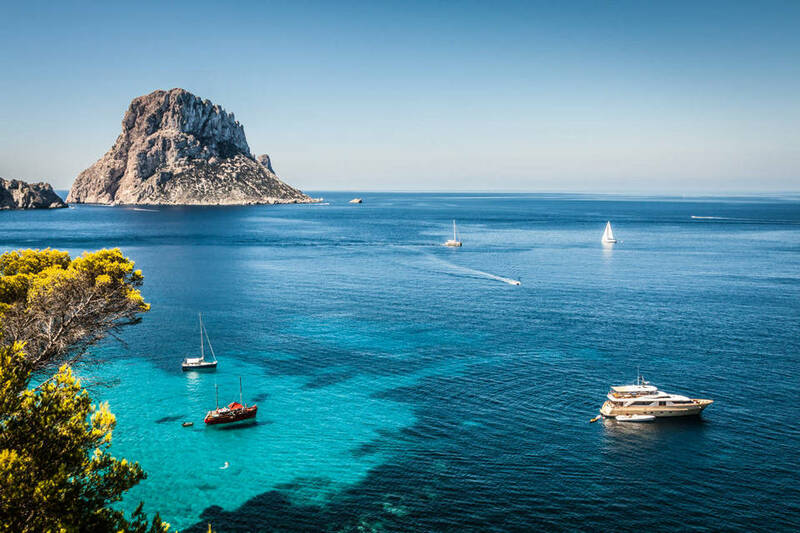 About 79 km from Valencia coast, Ibiza belongs to the Balearic Islands, an autonomous community of Spain that is relatively small in area, but is a famous tourist island with beautiful beaches, bars and parties all day and night. 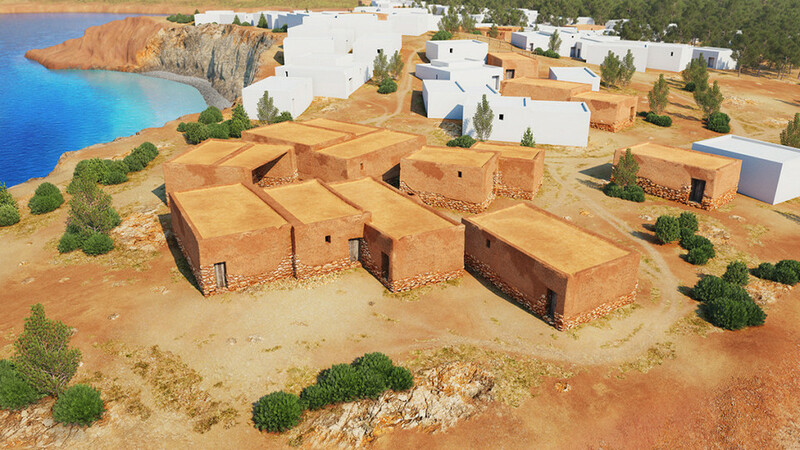 Ibiza is recognized by UNESCO as a cultural and natural heritage due to its diverse marine ecosystem and long-standing culture. In particular, the giant sea grass Posidonia Oceanica is found only in the Mediterranean and many relics of Phoenician ancient civilizations, of which the most prominent is the Phoenician Sa Caleta settlement. 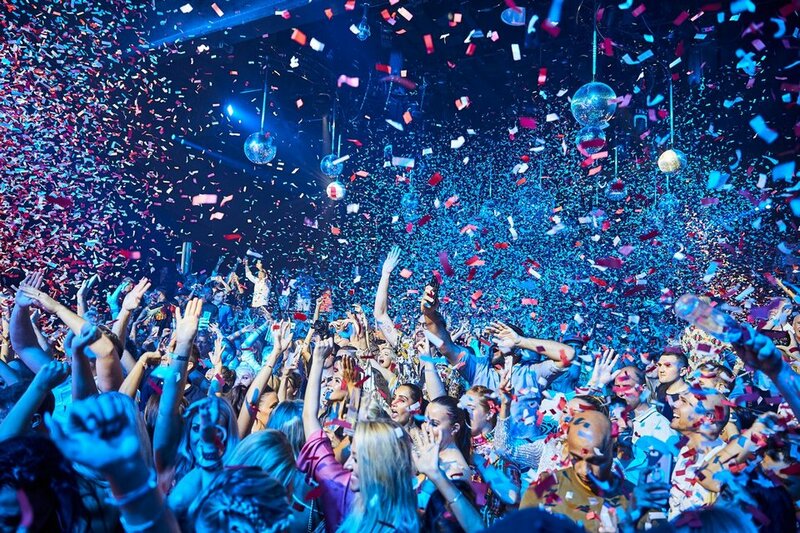 Ibiza – The island of partygoers. 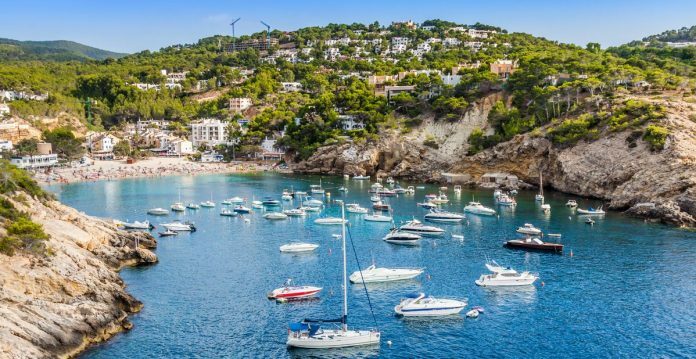 Ibiza travel guide: When is the best time to visit Ibiza? 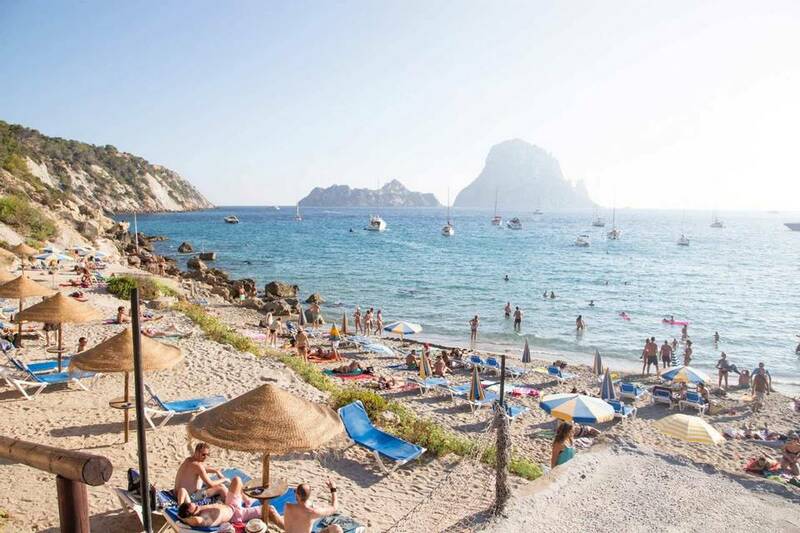 As an island in the Mediterranean, Ibiza has a quite similar climate to its motherland Spanish. 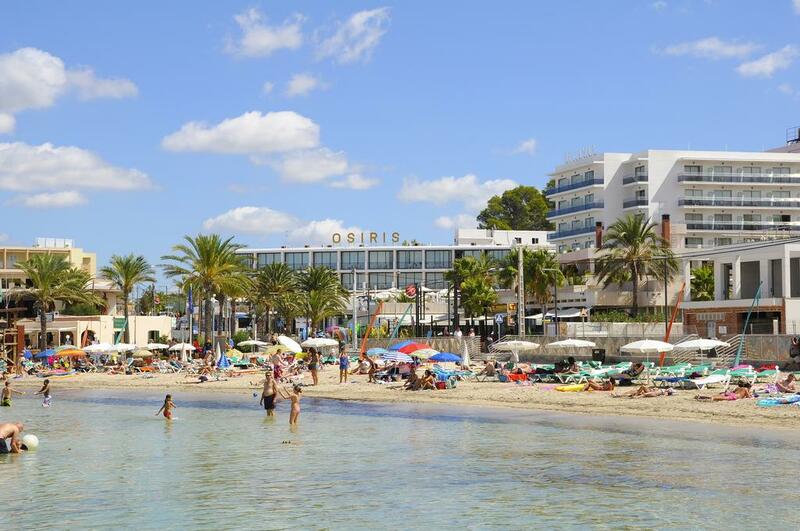 The best time to go to Ibiza often does not depend on the climate but often people choose to visit here depending on their holiday. 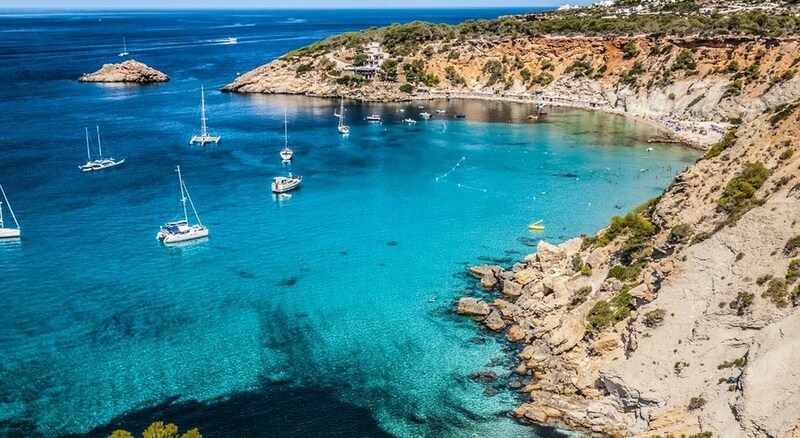 The best time to visit Ibiza is in summer. 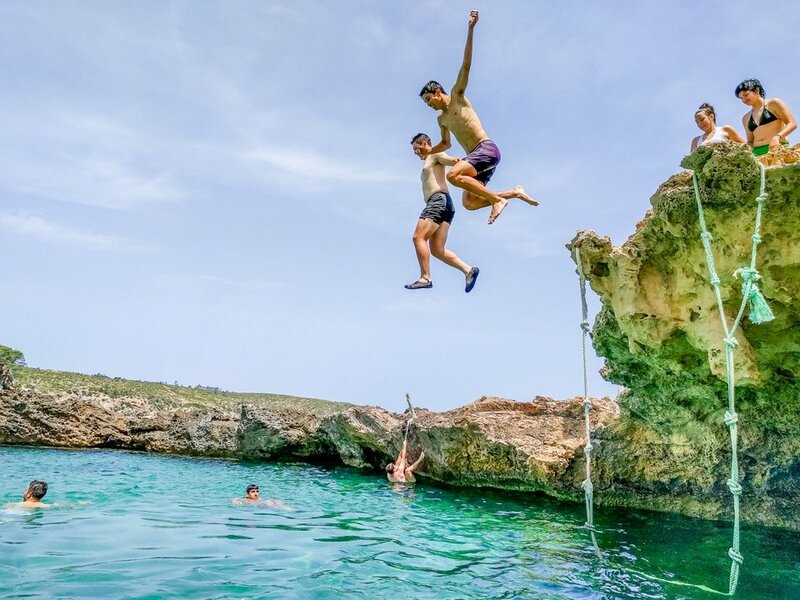 In the summer, the temperature is only over 20 degrees Celsius, rarely hot to 30 degrees Celsius, while the lowest winter is about 8 degrees Celsius, making this place an ideal vacation destination for many soccer stars, especially players of Real Madrid club (Spain). 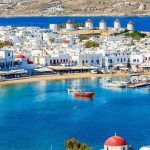 The summer months from the end of May to the beginning of October are the peak months, the stars, celebrities, the famous people coming here are very crowded, the parties on the island takes place all day and night. 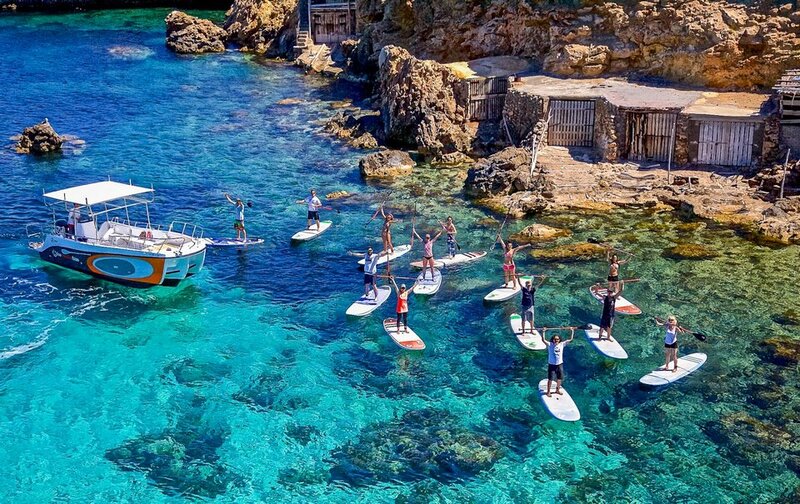 This is also the season for water activities such as windsurfing, flyboarding, slingshots, … and because of the peak season when restaurants operate at full capacity to welcome guests. 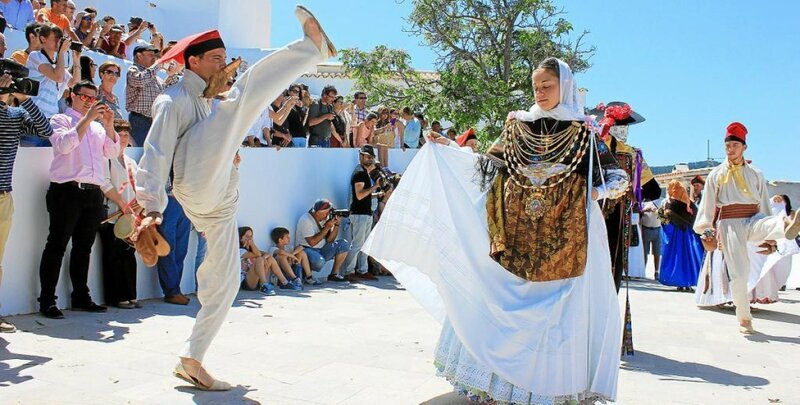 From May to October is also a period of cultural activities, such as traditional folk dance – Ball Pagès, festivals and sports activities such as hiking or boating, climbing, .. Winter months are more deserted, although it will be quieter but we do not recommend you to come in this season, because Ibiza is the destination of lively beaches and parties! 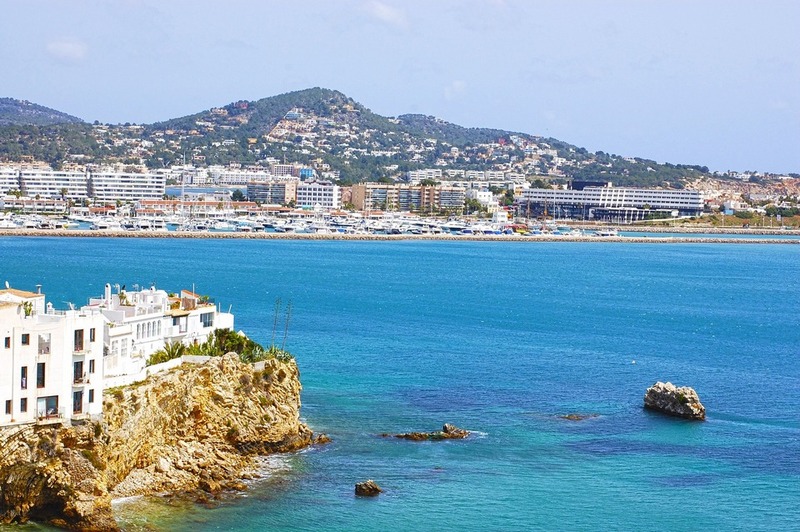 Ibiza travel blog: How to get to Ibiza? 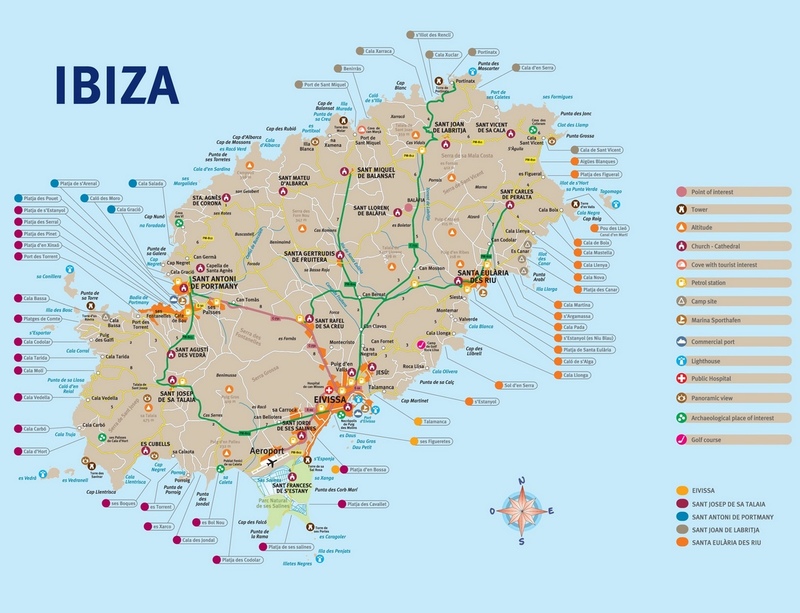 There are two main ways to get to Ibiza from Europe, either by ferry from Spain or by plane. 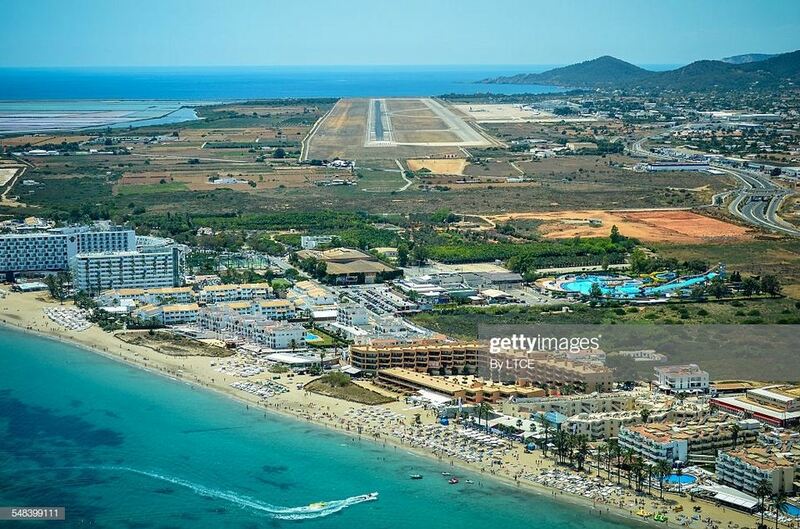 Aerial view of Ibiza airport. 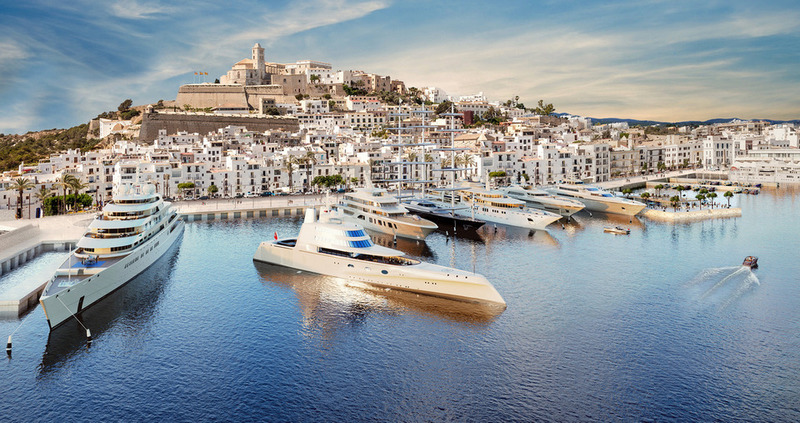 This is the simplest way to getting to Ibiza. 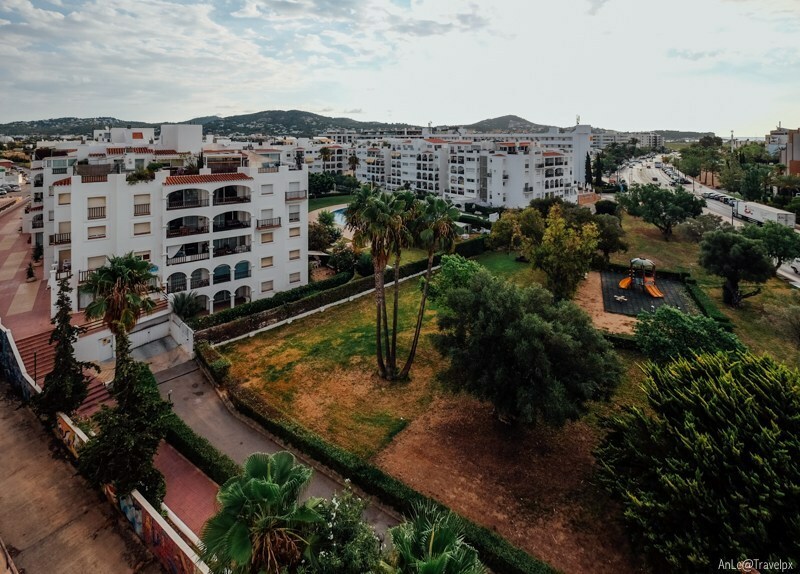 There are many direct fly routes from many major European cities to Ibiza because the island is very famous as well as its convenient location. 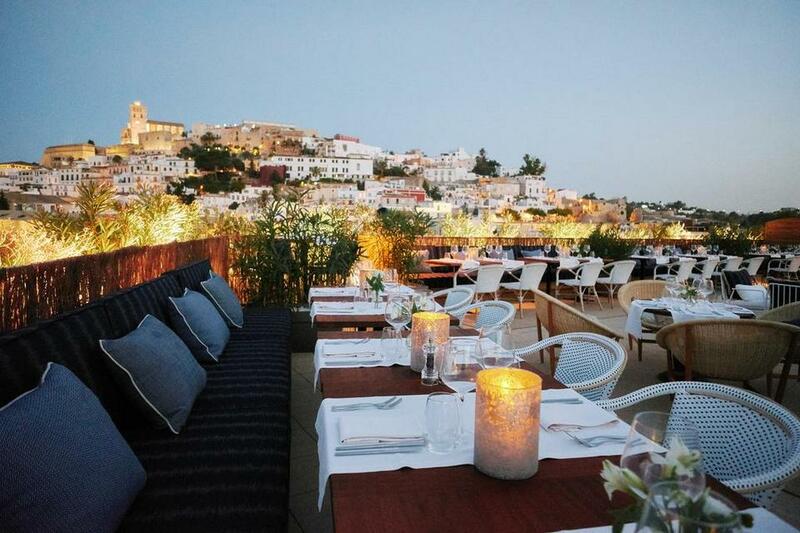 You can fly from Paris, Lisbon, Rome, … to Ibiza. During our trip we flew to Ibiza from Lisbon by TAP Air Portugal, and left Ibiza to Naples by Vueling. A friend in the group flew to Ibiza from Paris with round trip flight. 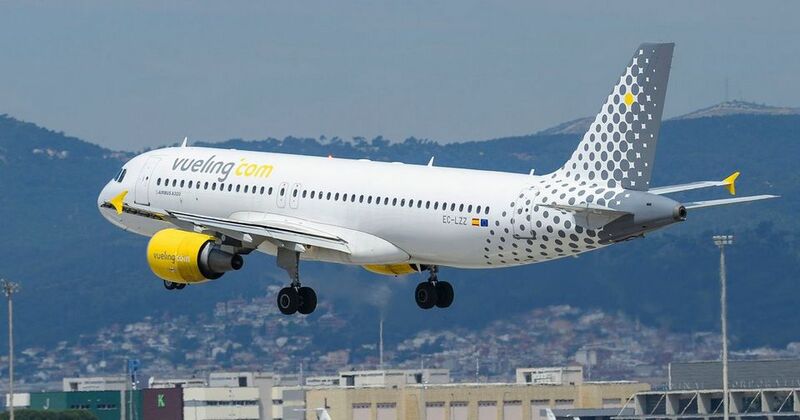 Due to being the island of Spain, Vueling seems to have the most flights to Ibiza, when looking for airfares, you should visit the website of this firm first. About the airfare: It is quite infinite, depending on the time you go. If you go in the low season that not summer, cheap tickets can be found, only EUR10-30. But we went to Ibiza in the peak of the tourist season, and it was a vacation of the Europeans, so the price was very expensive. The airfare from Lisbon to Ibiza is EUR160/way, the airfare from Ibiza to Naples is EUR85/way (including luggage). 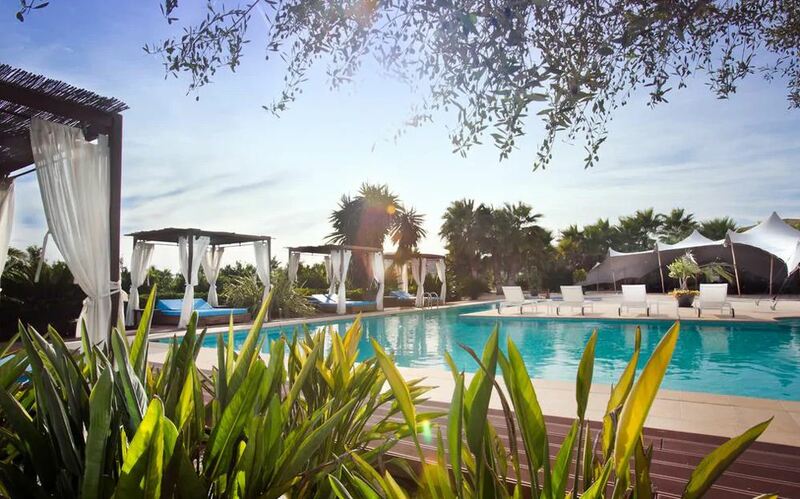 However, the round trip tickets from Paris – Ibiza is quite good, only EUR80/round trip. 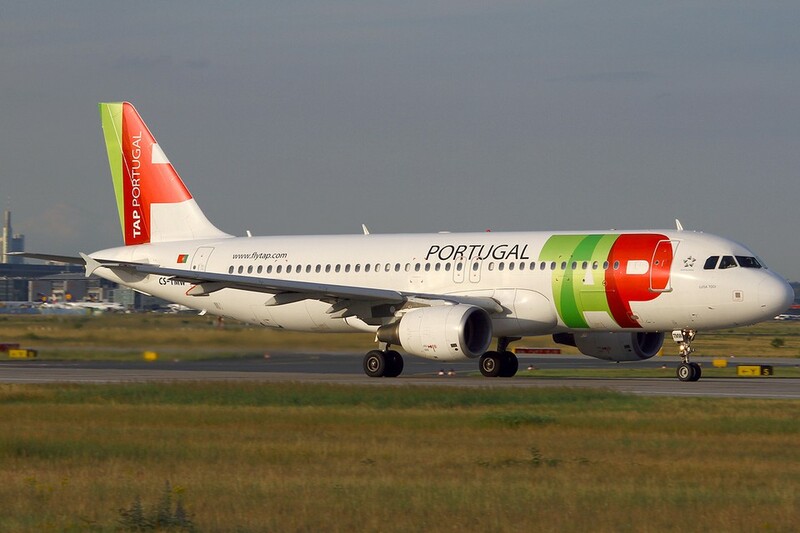 About the airlines: Both firms of TAP Air Portugal and Vueling that we flew are ok, Vueling delay for about 15-20 minutes. However, a friend in our group fly from Ibiza to Paris of Vueling has a terrible delay, waiting at the airport for another 4 hours. All flights to and from Ibiza are late night. 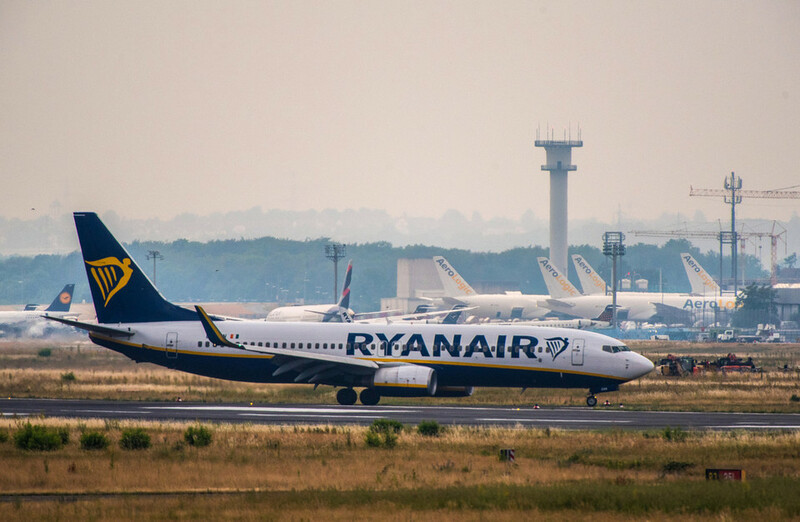 Ryan Air is also one of the low cost airlines that has flights to Ibiza. 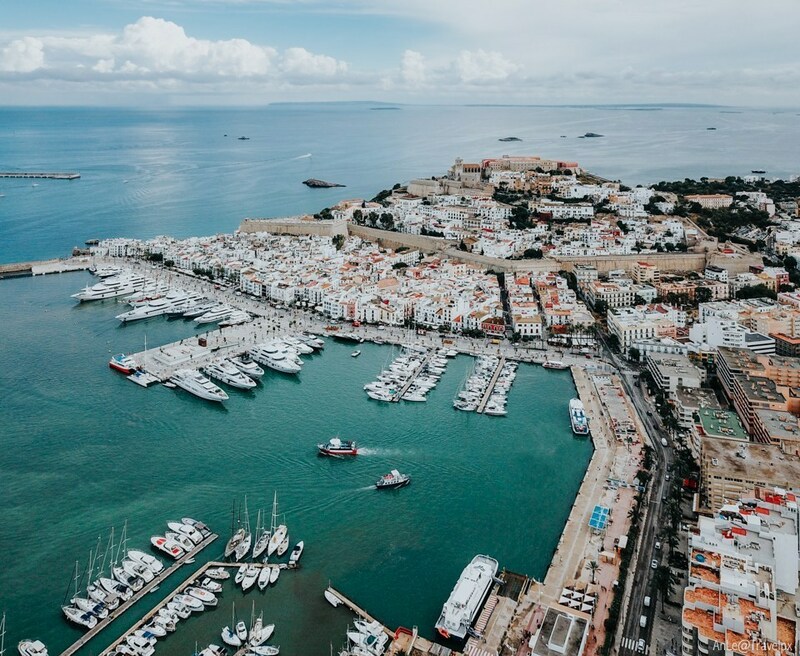 Because it is located quite close to motherland – Spain so you have more options if you depart from some coastal cities in Spain like Barcelona or Valencia, you can choose the option to getting to Ibiza by ferry. 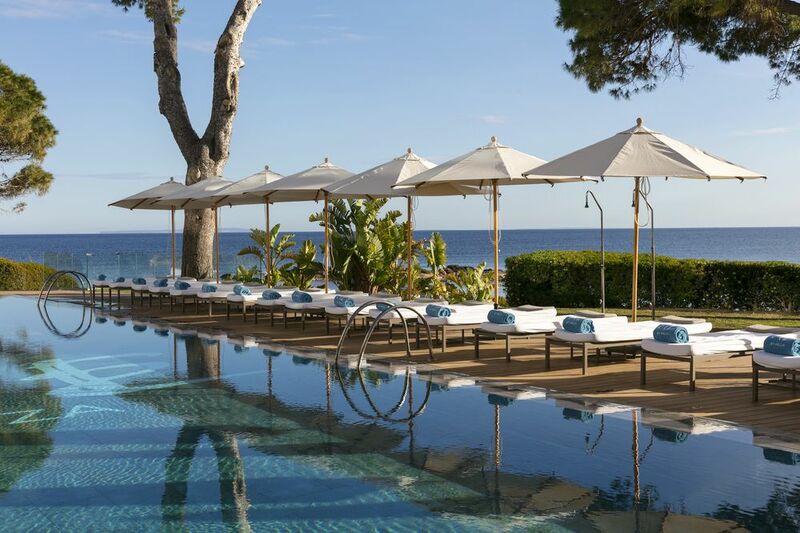 You can also consider going back and forth between Ibiza and another beautiful island of Spain is Mallorca. 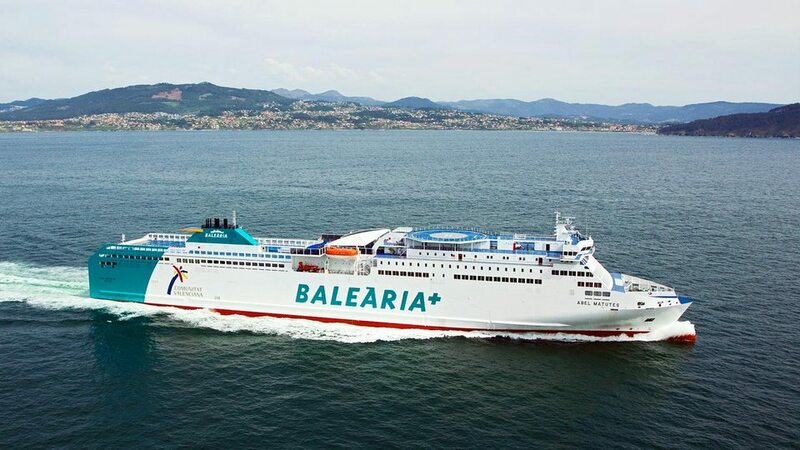 Ferry time from Barcelona is about 7-9 hours, and from Valencia it is closer so the travel time is shorter. 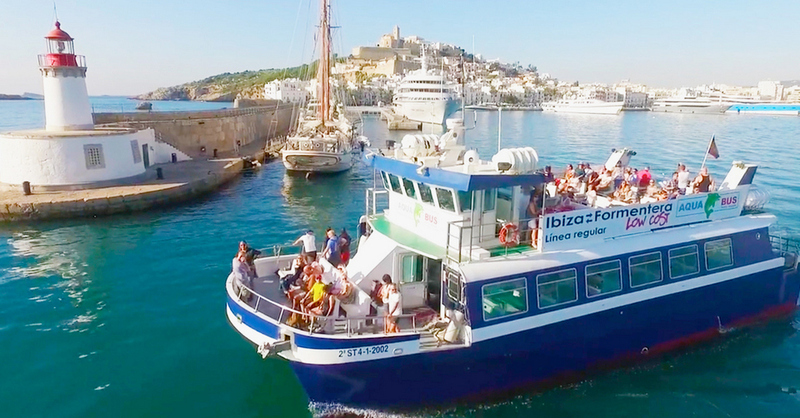 There are two main ferry firms for the routes to Ibiza, each firm have of 6-7 trip/week. 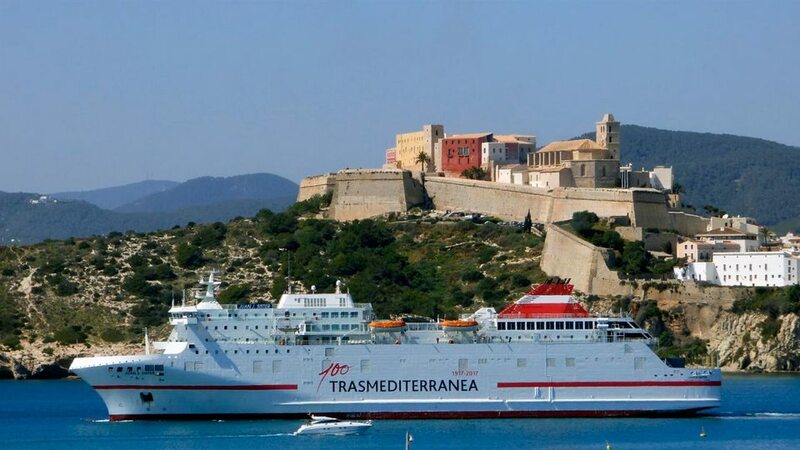 Ferry ticket from Barcelona to Ibiza range from USD40-50/way. 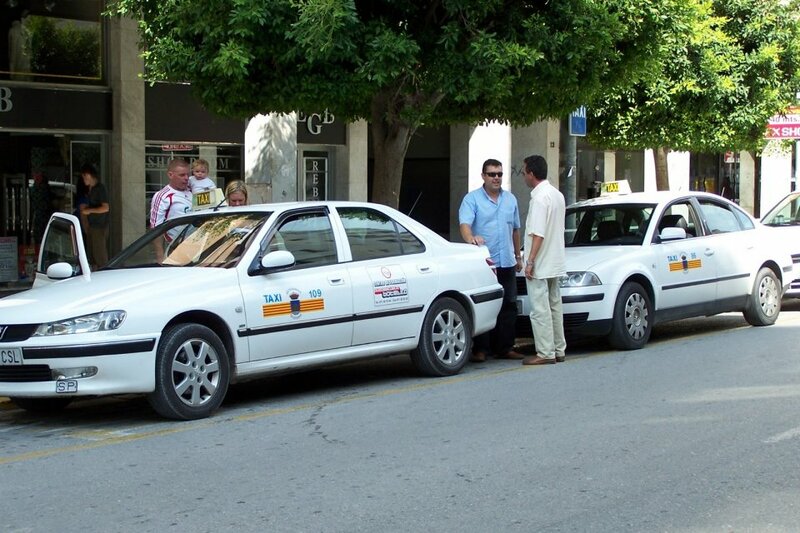 We arrived at Ibiza Airport at midnight, so the only way to getting to the city center (We booked room in the Old Town) is by taxi. 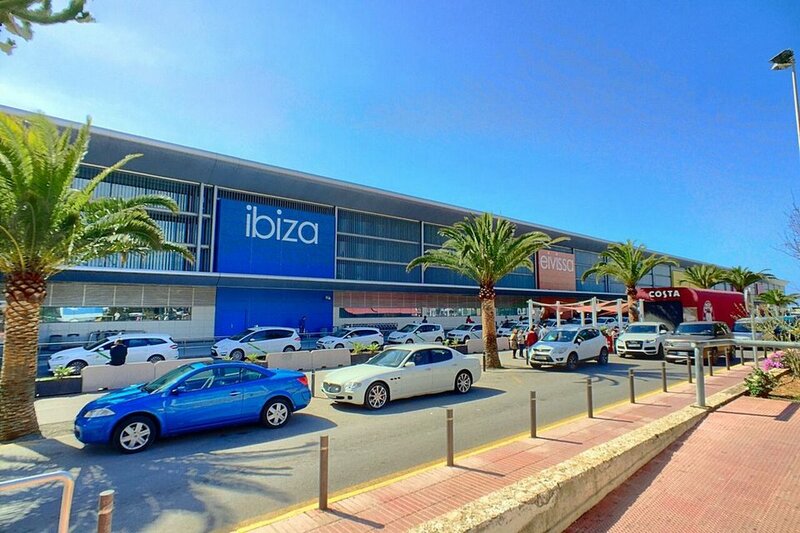 Ibiza Airport is quite small, after landed at the airport, going to the outside of the arrival hall you will see a lot of taxis waiting there. Taxi with meter clock, but usually the general price range from EUR17-18 to Old Town. Travel time is about 15 minutes. The return way to the airport, we take the bus, only EUR3.5/person from the Old Town. Bus runs from 7:00AM to 11:50PM, you can see the bus schedule here. Bus quality is also normal, peak hours are very crowded with no seats. 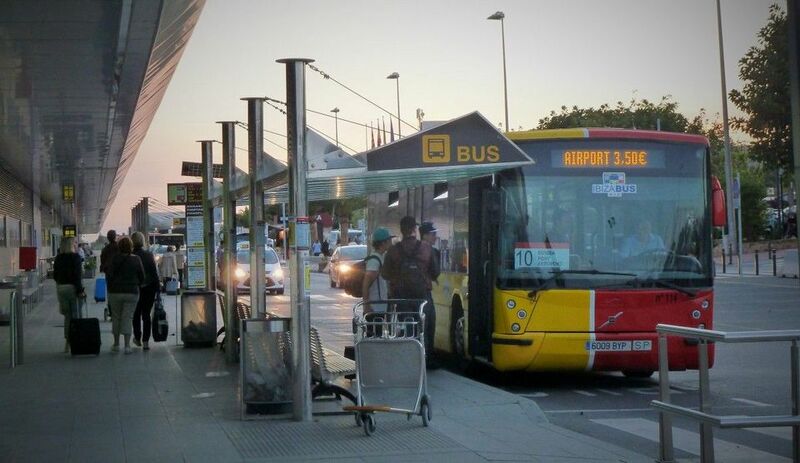 If you are rushing to the airport, it is best not to wait for the bus. 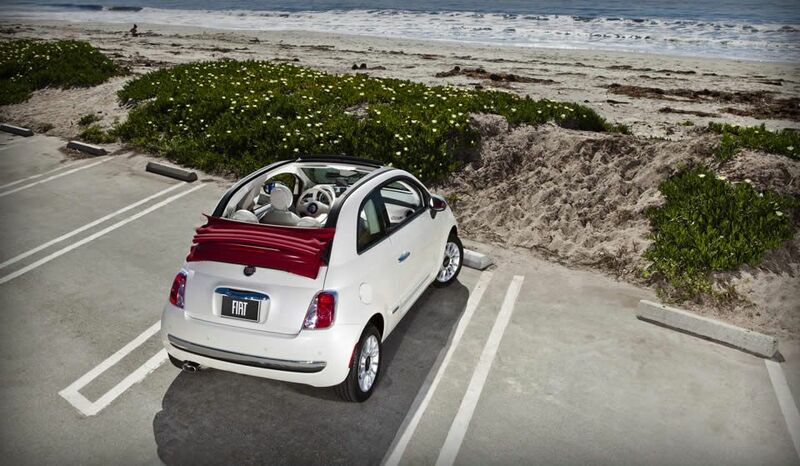 However, we recommend you renting a car to get into the city from the airport. 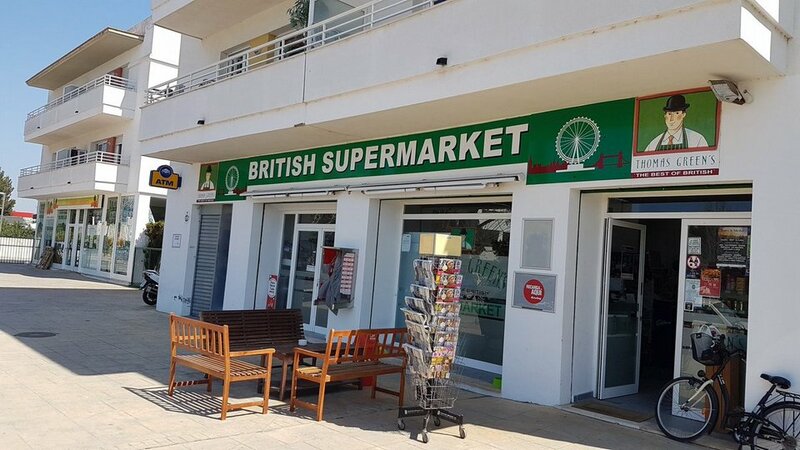 Anyway, you have to rent a car to getting around on the island, so you should book a car rental in advance, pick up a car at the airport and go to the center. When you return to airport, you also had a car that was convenient to use instead of have to pay 2 times of taxi fare. Ibiza is a pretty big island (571 km²), the attractions are often quite far apart. Although there are buses, but the most popular and convenient transportation is still car. You should only use the bus if your trip is full of time and needs to be more economical, because this vehicle is quite inconvenient, the waiting time is long. 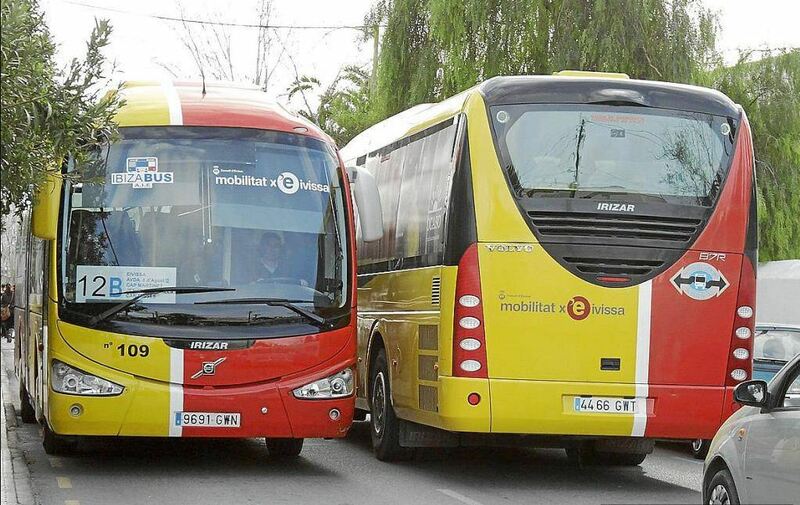 The bus routes also only go to the main and crowded residential areas. 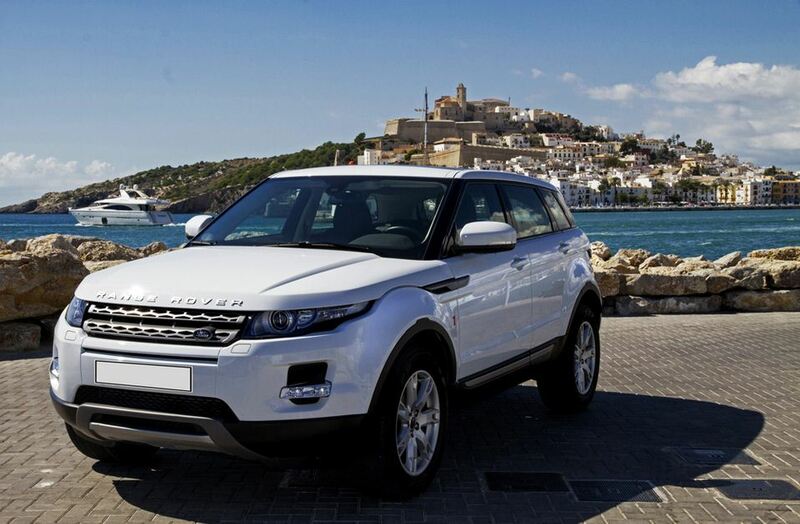 With the 3 days and 2 nights itinerary (3 days in Ibiza, Ibiza itinerary 3 days) on the island, we mainly hire self-driving car to go to the island’s spots. The another way is mainly walking in Ibiza Old Town, where there are many places to visit the most. 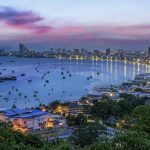 In addition, you may consider taking a taxi, but note that taxi prices are expensive, not to mention the Old Town area is always traffic jam, and the taxis here they also include the traffic congestion charge so the price is … jumping fast. Self-driving car rental procedure is quite simple, you only need an international car driver’s license and a credit card. 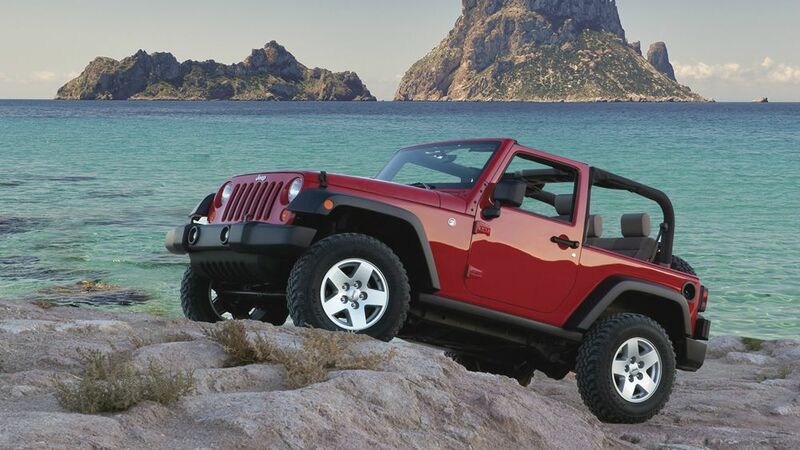 It is qualified for driving on the beautiful streets of Ibiza. 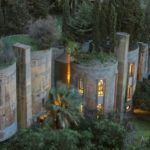 You should check the prices online and book in advance, don’t like me subjectively do not prepare in advance, when I come, go find a shop to rent a car with a high price. 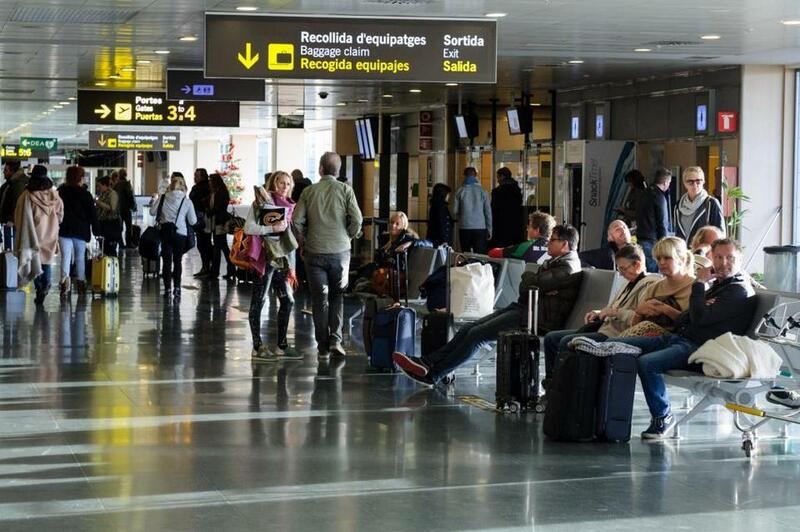 After renting a car, remember to choose the location to pick up the car at the airport, drive from the airport to the hotel and when you return, run straight to the airport, very convenient. However, I did not book a rental online in advance, but after wandering through a around in Old Town, I just found a rental car. 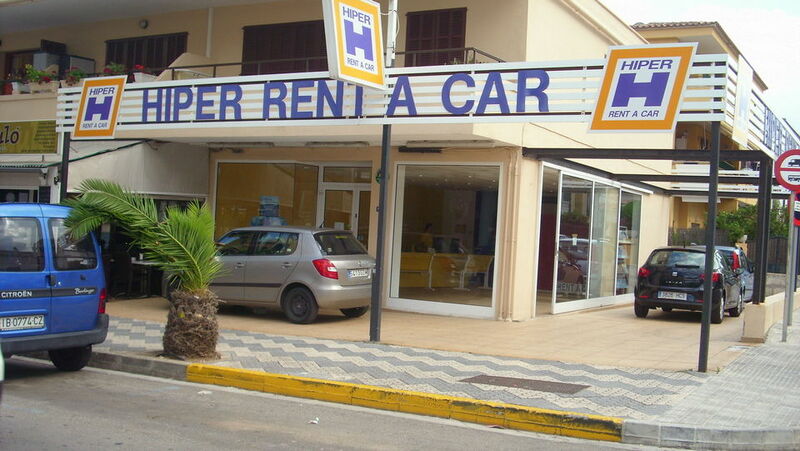 You should note that noon the rental shops are mostly closed (a typical feature of Spain). I have to find quite a long time to see a shop in the harbor area. 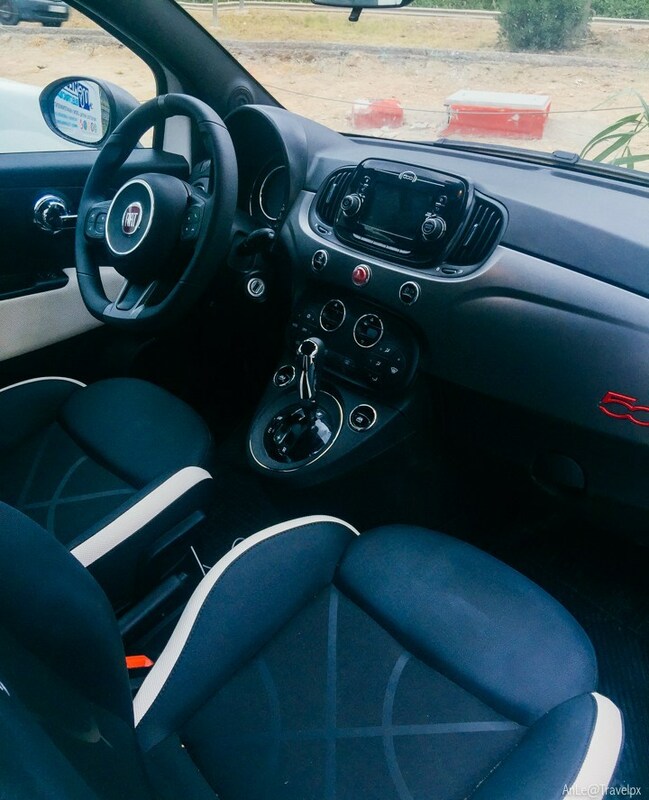 The price for a tiny Fiat sport 500 including insurance is EUR140/day (EUR100 without insurance), and they also keep a credit card amount of EUR300, after you return car they will refund this amount. This price is really too high while the price I rent a very spacious Volkswagen Touran SUV car only EUR55/day. Just accept it. When you pick up the car, gas is full, your task is to fill the tank when you return the car. 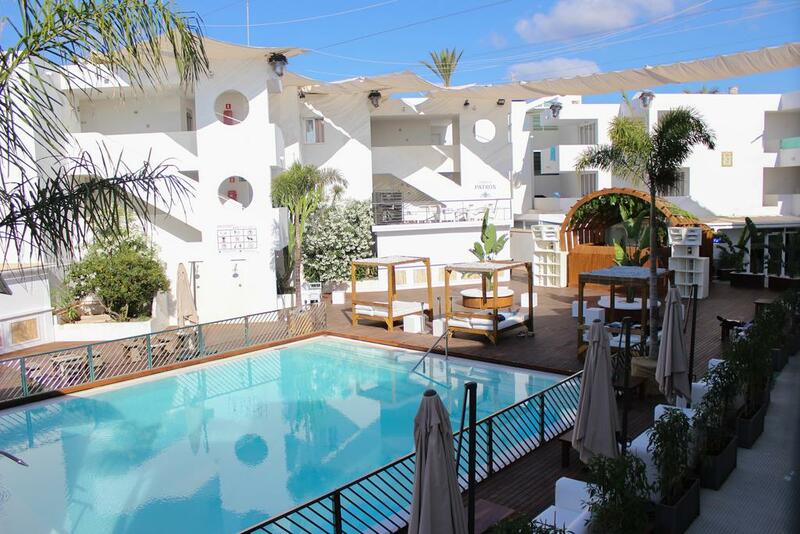 There are 2 main areas to rent hotels you can consider when visiting Ibiza is Ibiza Old Town and Ibiza San Antonio. Often people are in the Old Town area because it is near the airport and there are many more places to visit. Moving from the airport is also closer and more convenient. 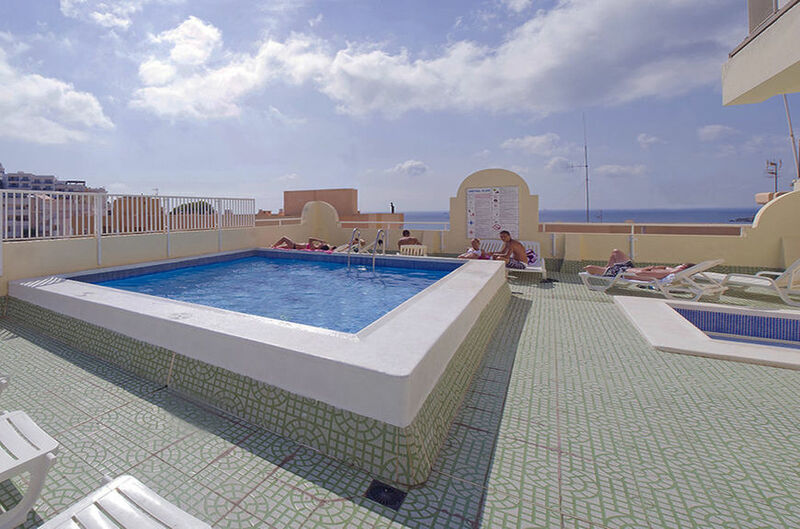 Gran Hotel Montesol Ibiza, Ibiza Old Town (Check rates and reviews on Agoda.com or Booking.com). La Torre del Canónigo, Old Town (Check rates and reviews on Agoda.com or Booking.com). Agroturismo Ibiza Can Jaume (Check rates and reviews on Agoda.com or Booking.com). 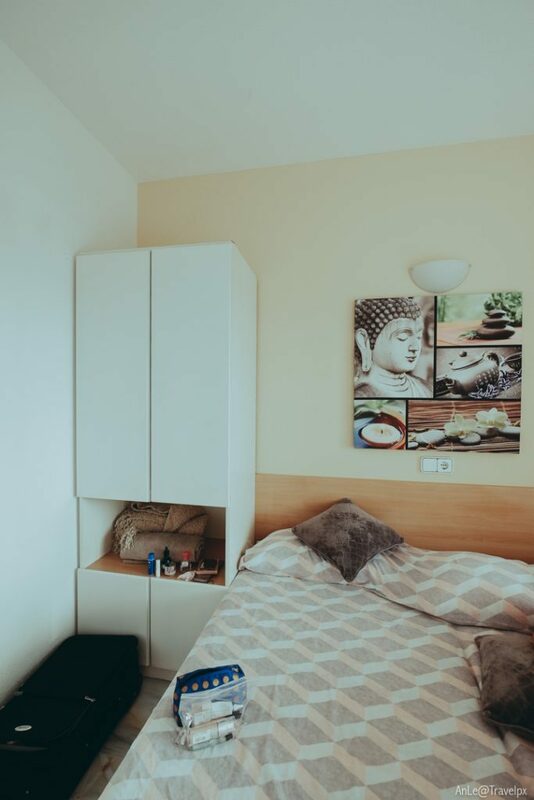 Sir Joan Hotel (Check rates and reviews on Agoda.com or Booking.com). 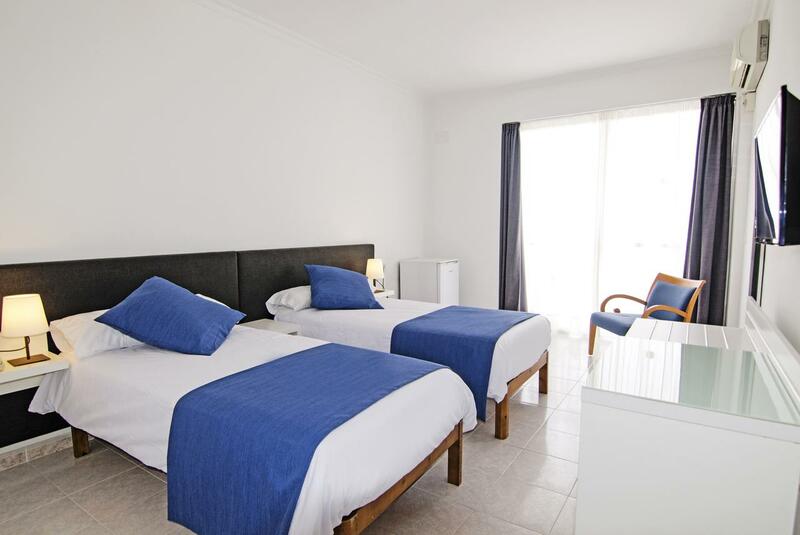 Hotel Alua Hawaii Ibiza, San Antonio, (Check rates and reviews on Agoda.com or Booking.com). Hotel Osiris, San Antonio (Check rates and reviews on Agoda.com or Booking.com). 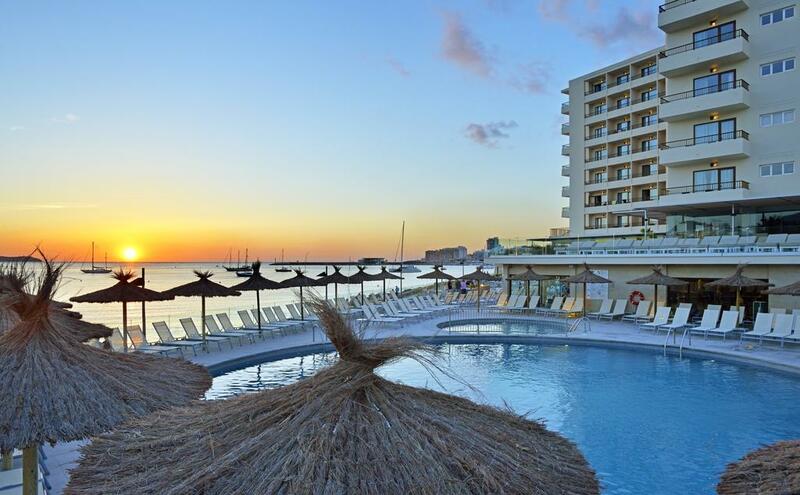 An extremely valuable tip when booking hotels in Ibiza is: Early booking and avoiding peak season. Since I’m late, there are not many good deals with nice hotels. 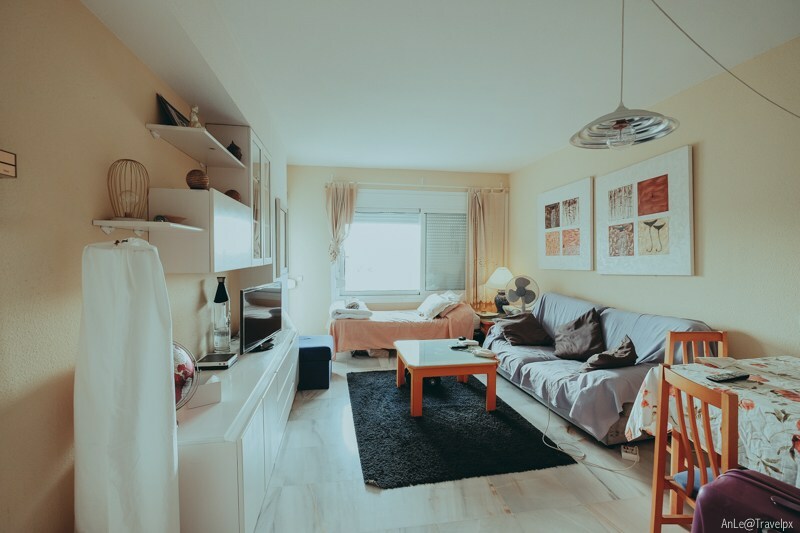 Digging for a long time on Airbnb finally found a beautiful apartment in a small apartment complex suitable for me, it is located at the center edge because there was no more hotels in the main area. 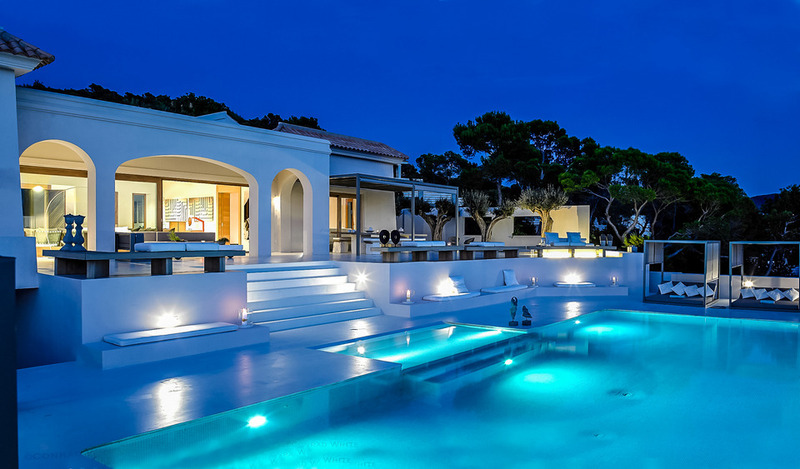 In addition, if you love Messi, you can refer to Messi’s own hotel on the island of Ibiza. 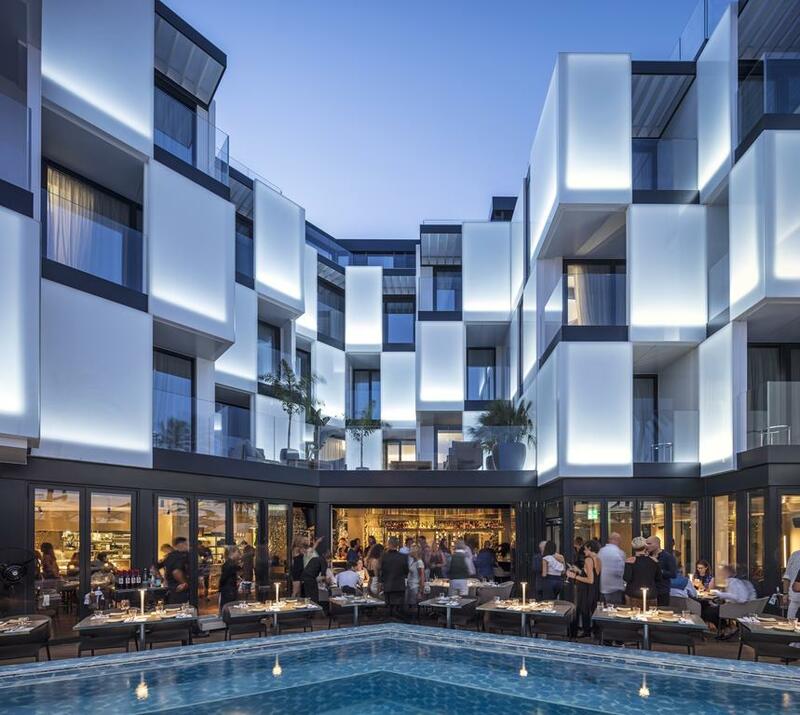 Hotel MiM Ibiza Es Vive (see it on Agoda.com or Booking.com) is located on the edge of the Old Town center and close to the sea, the interior is extremely luxurious and decorated in the Messi style. 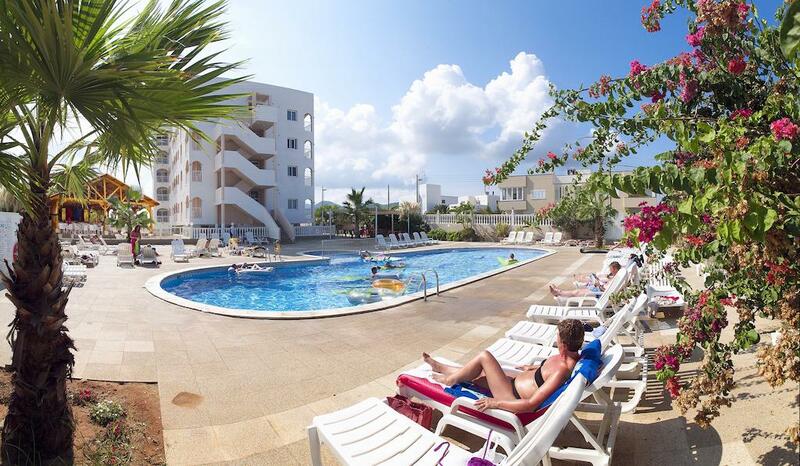 Hotel Central Playa (Address: Calle Galicia 12 | La Playa de Figueretas, 07800, Ibiza Town, Ibiza, Spain. 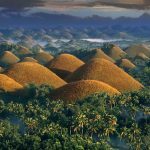 (Check rates and reviews on Agoda.com or Booking.com). 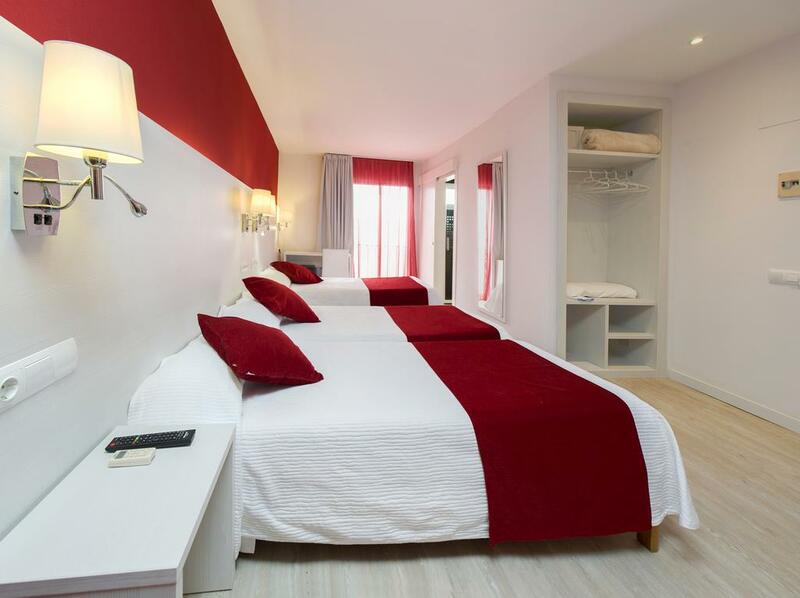 Hotel Puchet (Address: Avd. 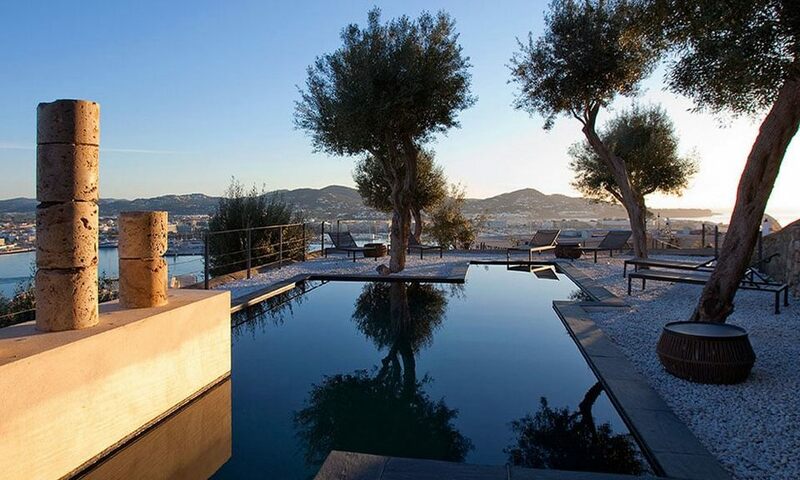 Doctor Fleming, 51, 07820, Sant Antoni de Portmany, Ibiza, Spain), with room rates from $60.38/night. 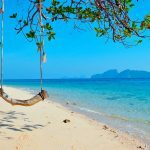 (Check rates and reviews on Agoda.com or Booking.com). 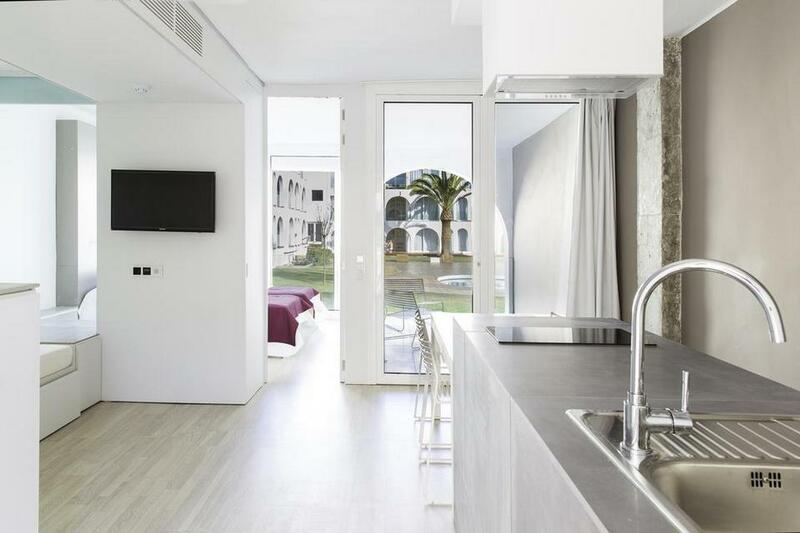 Apartamentos Llobet (Address: Alejandro Llobet, 6-8 | Figueretas Beach, 7800, Ibiza Town, Ibiza, Spain), with room rates from $129.39/night. (Check rates and reviews on Agoda.com or Booking.com). 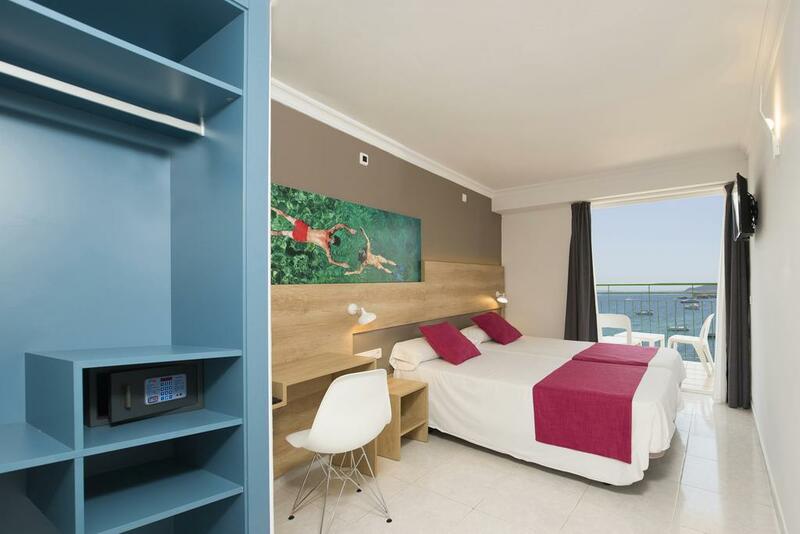 Apartamentos Bora Bora (Address: Carretera de la Platja Den Bossa S/N, 07817 Playa d’en Bossa, Ibiza, Spain), with room rates from $77.63/night. (Check rates and reviews on Agoda.com or Booking.com). 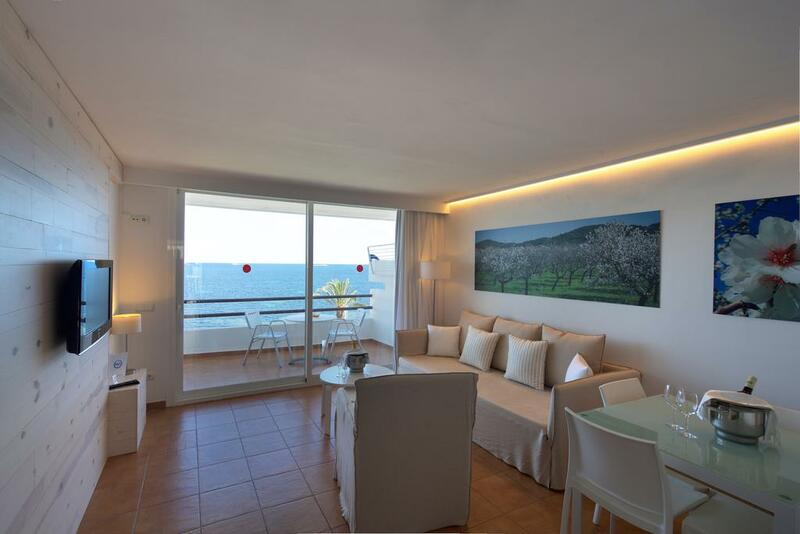 Apartamentos Casa Luis (Address: Crta. 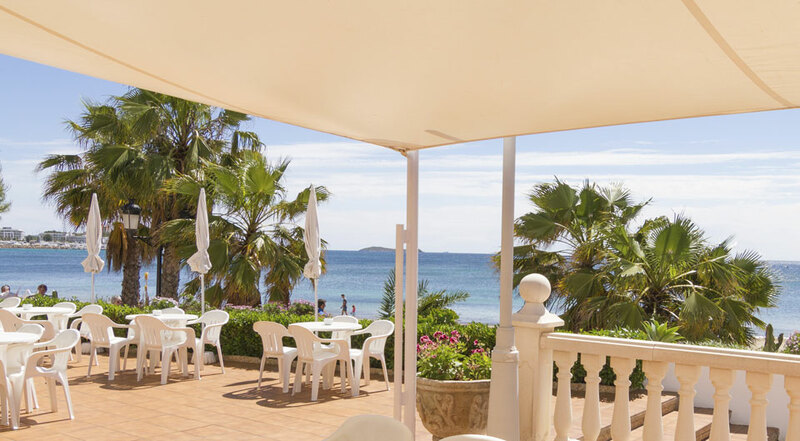 Es Canar, Km.1, 07840, Santa Eulalia del Rio, Ibiza, Spain), with room rates from $82.38/night. (Check rates and reviews on Agoda.com or Booking.com). 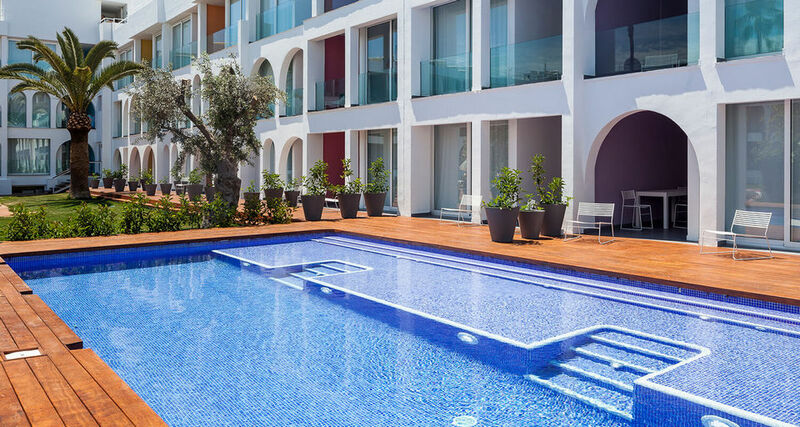 Ebano Select Apartments (Address: Calle Begonies 22-26, 07817 Playa d’en Bossa, Ibiza, Spain), with room rates from $99.20/night. (Check rates and reviews on Agoda.com or Booking.com). 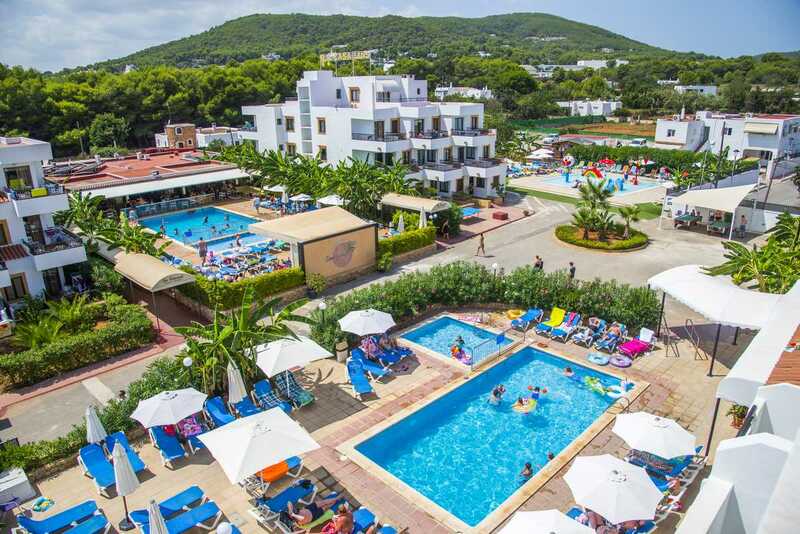 Hotel Playasol Maritimo (Address: Calle Ramon Muntaner 48, 07800, Ibiza Town, Ibiza, Spain), with room rates from $73.32/night. (Check rates and reviews on Booking.com). 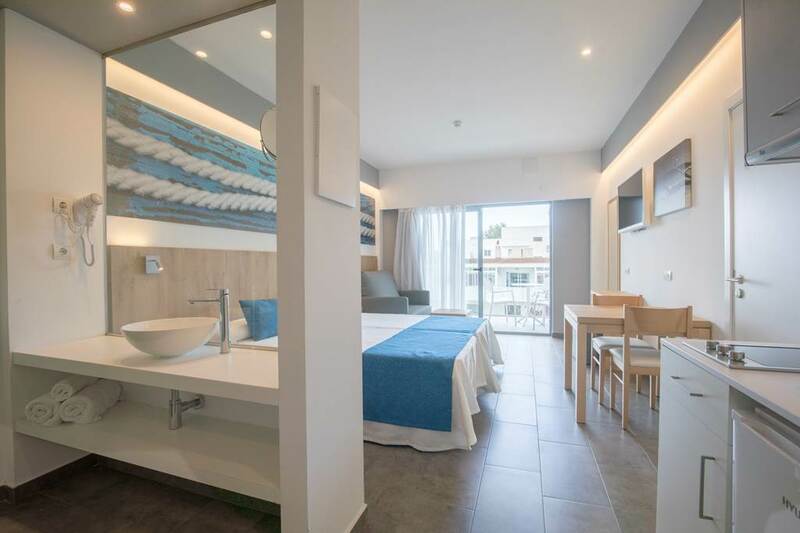 Hostal Talamanca (Address: Playa Talamanca | Apartado 103, 07800 Talamanca, Ibiza Town, Ibiza, Spain), with room rates from $64.26/night. (Check rates and reviews on Agoda.com or Booking.com). 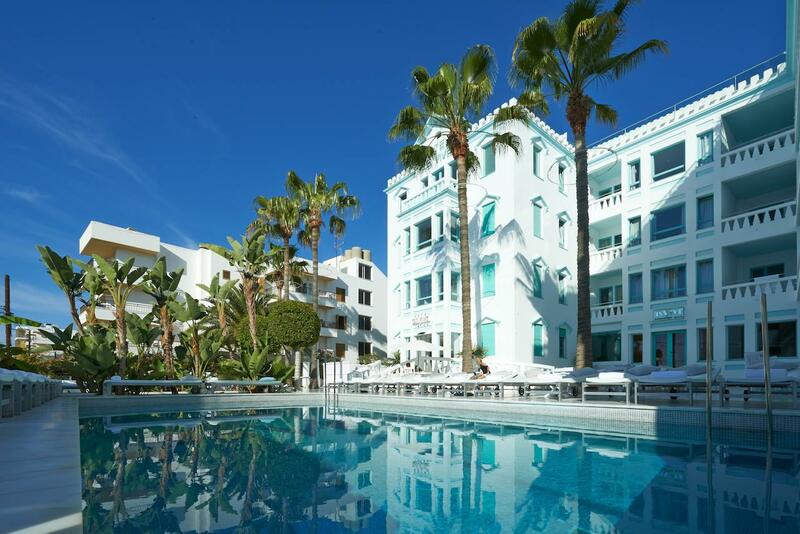 Hotel Riomar (Address: Camino 3 del Rio 48 | Playa Es Pins, 07840, Santa Eulalia del Rio, Ibiza, Spain), with room rates from $73.32/night. (Check rates and reviews on Agoda.com or Booking.com). 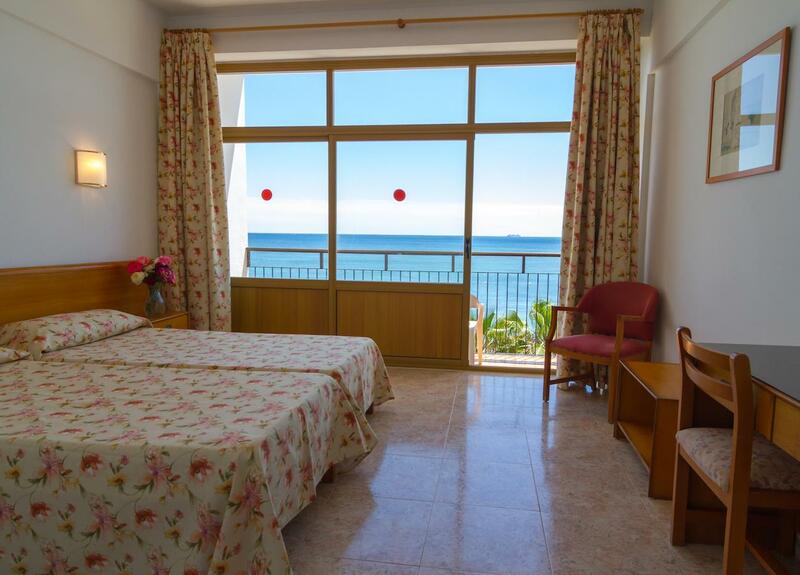 Hostal Marino (Address: Del Mar 34, 7820, Sant Antoni de Portmany, Ibiza, Spain), with room rates from $43.13/night. 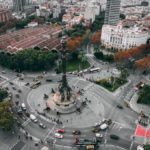 (Check rates and reviews on Agoda.com or Booking.com). 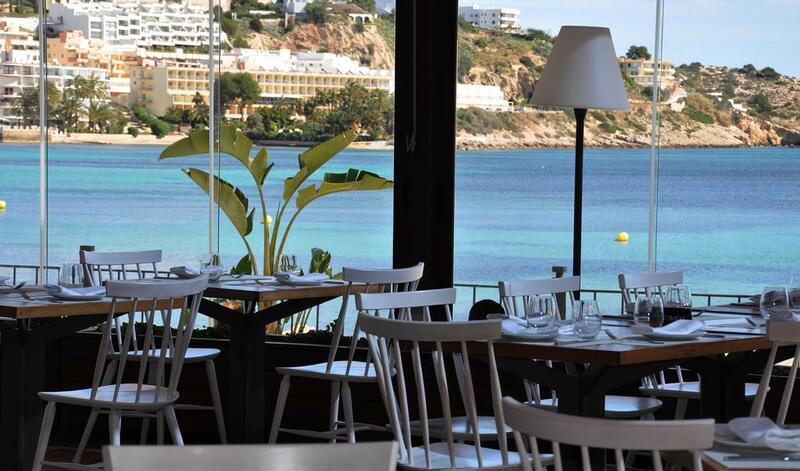 Ibiza tourist guide: What and where to eat in Ibiza? 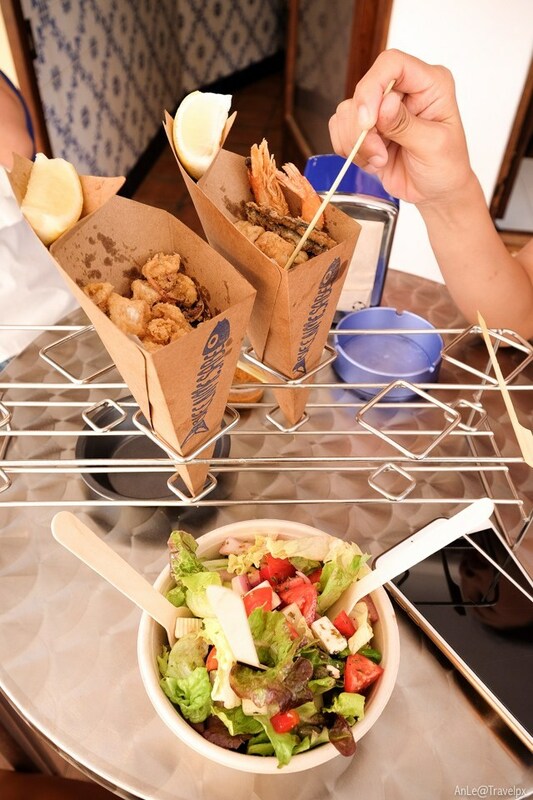 Actually, there are not many options in Ibiza about eating. The restaurants centralize mainly on 2 locations: Old Town and San Antonio. We often go to the supermarket to buy food for self-cooking for dinner, very delicious, another option is eating in Old Town. 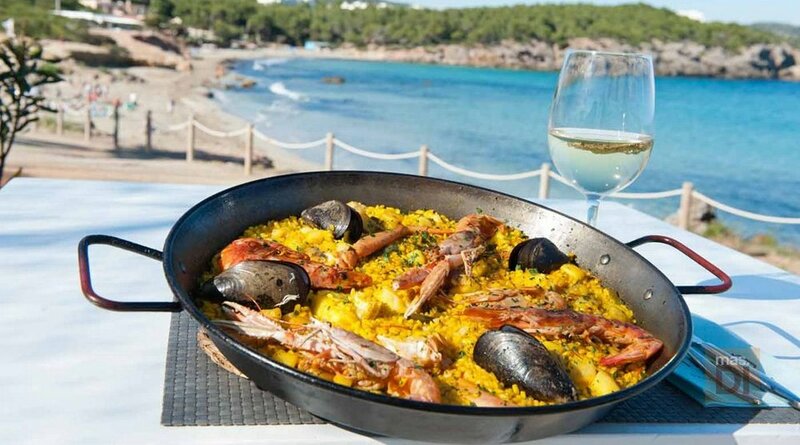 Food in Ibiza is similar to Spain as you know in Barcelona or Madrid. 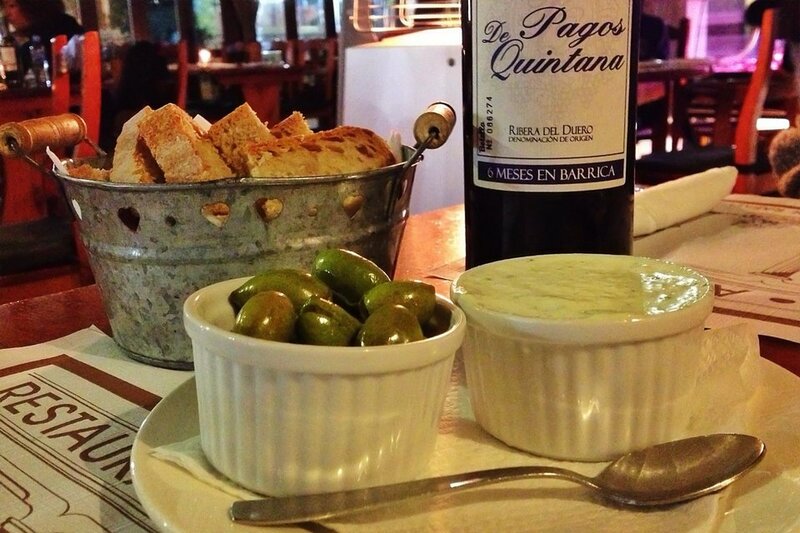 The most popular dish is Tapas, which has a variety of choices depending on each person’s choice and taste. Food in supermarkets is extremely rich and diverse, because renting an apartment with a kitchen and full tools, the group has a chef to cook deliciously so it is not difficult to buying food and cooking and enjoy together.